We should all give on our birthdays. Maynard Follett is a World War II veteran who celebrated his birthday in a nice way. He walked 90 miles in 30 days to raise money for Help for Heroes. He has accomplished the feat which raised $1,600.00 to be donated to the fund for wounded, injured and sick servicemen. These are the best kind of birthday presents. Maynard Follett decided to give to himself for his 90th. He wanted to do something for his birthday but didn’t want any presents or a party. So, he decided to give to Help for Heroes. If you want to donate, you can click here. 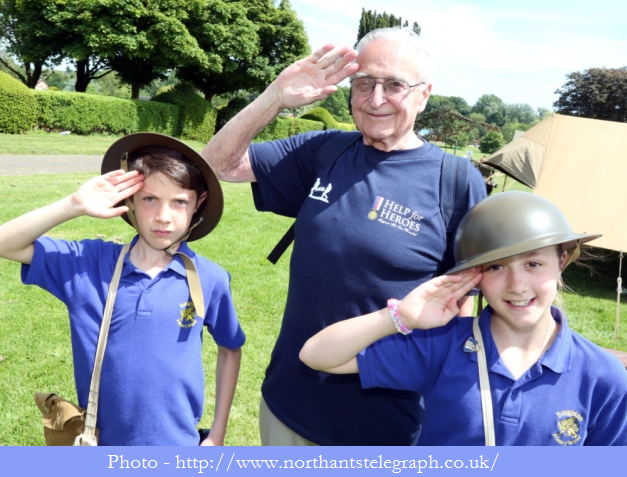 And there is more to the story is here at http://www.northantstelegraph.co.uk. Doctor Delivers Babies with Great Love – and Song!